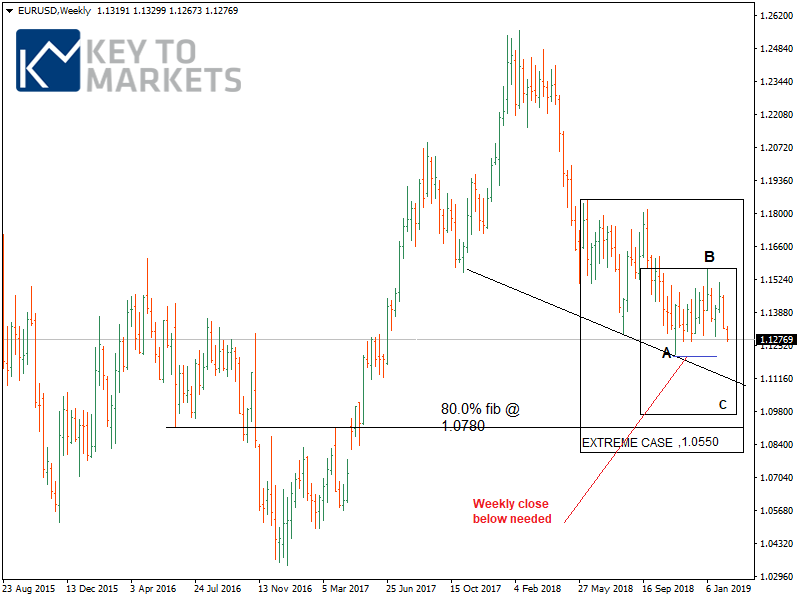 We are taking profit on our short EURUSD trade entered on February 05 at 1.1435 targeting a move to the neckline 1.1300/1.1270. We continue to forecast EURUSD to range within the range of 1.1200-1.1515 in the coming week. We also expect a room to further downfall. Dollar dominance, downshift in euro area growth, global growth revisions and local and global political unrest impacting the single currency. Recent EZ PMI surveys indicate the economy has started the new year on a flat note. The week ahead brings Germany Q4 GDP, EA flash GDP, and US CPI. We also focus on a few FOMC speeches and headlines of US government shutdown from February 15. 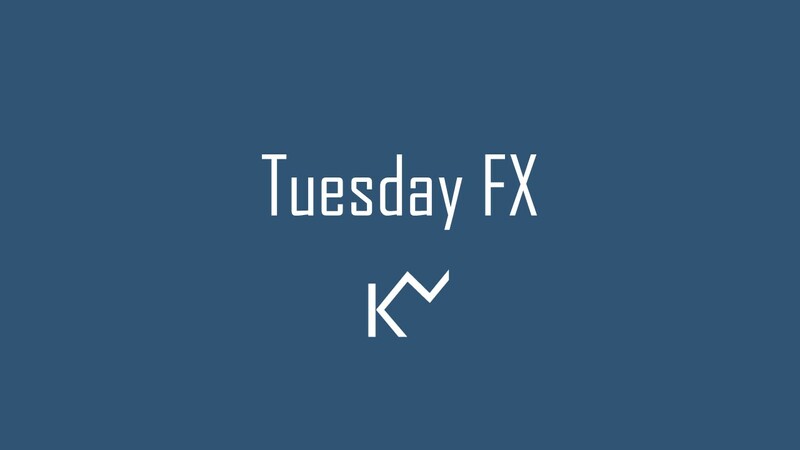 Again, the dollar trend is likely to be the big focus point for the forex traders this week (Feb 11-15) along with other risk events around the corner. On top of these, headlines on US-China trade talks and the latest developments of Brexit are likely to keep investors busy. Overall, this week is expected full of action with the G10 currencies, few of them namely EUR, GBP, and NZD. The headlines on the US budget will dictate near-term volatility woes. PMI Services Index was unmoved on December’s 49-month low of 51.2 at the start of the year, according to IHS Markit. Germany factory orders had decreased in December 2018 to -1.6% vs. -0.2% in November 2018. In December 2018, production in the industry was down by 0.4% from the previous month, according to Destatis. Local and global political unrest impacting the single currency on an addition to this France and Italy remained the remained the primary sources of weakness, with both countries registering declines in activity during January, according to IHS Markit. In the euro area, we keep an eye on Germany Q4 GDP number (Thu). Back in Q3 Germany economy contracted 0.2% vs. Q2. The Federal Statistical Office (Destatis) reports that, in the third quarter of 2018, the gross domestic product (GDP) shrank by 0.2% on the second quarter of 2018. This was the first decline recorded in a quarter-on-quarter comparison since the first quarter of 2015. In Q4 we expect the growth engine could quiet at 0.1%. Besides, in the US we will see CPI data (Wed) and a few FOMC speeches. The single currency slumped overnight on the back of dollar strength across the board. The EURUSD fell 0.40% to 1.1267 and could expect further retracement if lost 1.1200. Currently the price stands at the lower end of the range, and now it could be downgraded further to wave C.
The pair failed to cling on to its gain after a breakout above 1.1500, pulling back sharply and breaking below the significant support at 1.1400. Given the daily indicators are bearish and the daily stochastics is also downbeat, caution remains in order at the lower end of the channel. A break below the 1.1265 Nov 28 low would drag further to 1.1240 its 100.0fe (A-B-C corrective pattern of 1.1570-1.1290-1.1515)) before retracing fully to 1.1200. Whereas support zone at the 1.1300-1.1270 has held in recent weeks keeping the momentum in focus of large consolidation. On the downside, a break below 1.1200 may trigger losses towards 1.1060 before 1.1000. At higher time frames, the corrective structure of wave C is pointing to 1.1000 (1.1815-1.1215-1.1570).